Given the nature of my niche, you can only imagine how often I get questions about how to generate more targeted website traffic. Understandably so – traffic is the bloodline of our businesses. However, there’s something you need to understand about traffic generation right off the bat: there’s nothing new under the sun. Your basic traffic generation is always the same no matter the niche and your job is to fully understand your existing possibilities and apply them to your business better than the next guy. Let’s take a look at the heart of traffic generation and see what exactly our potential traffic sources could be and what they mean to our websites in practical terms. Your website traffic is not limited to purely the number of visitors to your site, but also the number of pages they click on and the amount of time they spend on your site. What Is the Best Kind of Traffic You’d Want to Get? That’s why it’s so important to not only get the pure quantity of traffic down, but how qualified and interested that traffic really is in what you have to offer. Thus, it’s always important for us to see how your traffic interacts with your site. Do your visitors bounce right back to where they came from because they didn’t find the information they were looking for? Work on your bounce rate. Did you provide them with additional resources to check out in the post they just read? Use deep linking. Did you encourage your readers to interact with you and other visitors by leaving a comment? It only makes sense that you can do a whole lot more with a couple of thousands of steady and highly targeted monthly visitors than with tens of thousands of visitors who could care less about what you really have to say. What Are Your Basic Traffic Sources? Google Analytics has a great, although sometimes confusing, way to classify traffic sources. Let’s take a look at each one to see how it impacts our websites. This by far is one of the most confusing traffic sources there is and I’ll be happy to shed some light on it. direct traffic is the type of traffic that comes to your site without any referral, as in someone types your domain name in the URL box or follows a bookmark. Therefore, direct traffic is not the traffic that came to your site by clicking a link from another website (like Twitter, Facebook, another blog you guest posted or left a comment on), it’s not the traffic that comes from your paid campaigns (like Google AdWords – that would be under “Other” traffic sources in Google Analytics) and it’s not the traffic that results from someone typing a query on a search engine. However, and that’s where it gets a little confusing, direct traffic is not limited to the two sources I mentioned above: typing in the URL and coming from a browser bookmark. Since this is not meant to be a thorough investigation of where your potential direct traffic can come from, here’s a good source on that: an article published by Avinash Kaushik. Assuming that most of us don’t want to dig into the fascinating technical details of direct traffic, but simply want to learn what direct traffic means to our websites, let’s talk about that. Is Direct Traffic Important to Your Website? When a visitor comes to your site by typing in your URL in the address bar, it means that they’ve already recognized you as an authority on the subject and are coming back to get more.  When you think of traffic generation and associate that thought with Traffic Generation Cafe and come to visit me as a result, it means that I am doing many things right in terms of branding this blog as an expert advice hub on the subject. Once you develop it as a source and continue providing valuable content, it will continue to grow all on its own. In a way, direct traffic is the most targeted traffic you can get. This source brings you visitors who are already familiar with what you have to offer and they CHOOSE to come back for me. This factor also makes them some of the warmest, the easiest to convert leads you can ever get – you don’t need to prove yourself to them, they already know what you are all about. How Do You Increase Your Direct Traffic? Now that you see how valuable this traffic source is to your business, I hope you are ready to see what you can do to develop this kind of loyal readership. 1. Become the master of your niche. Whatever niche you chose for your website, stick with it, keep it narrow, and become a true expert in it. Don’t blog about anything and everything under the sun; stay focused. Remember, the whole idea is to develop a brand on a particular subject and become the best expert in that field there is. Then and only then, readers will associate you with the subject and come back for more. Find ways to give giving a whole new meaning. My Friday Blog Audit series: in this series, I did extremely thorough audits of different blogs to show my readers what practical changes they can take back to their own businesses to significantly improve them. Sunday Coffee with Ana: for a while, I did live broadcasts every Sunday morning on my Facebook fan page, where I invited my readers to come and interact with me live, ask questions, network, etc. Most recently, I offered my readers to answer any traffic generation questions they had for me. I knew that I was opening Pandora’s box in terms of all the comments I’d get and all the work I would have to put into answering those questions. However, the result: stronger and more engaged community, is definitely worth it. Creating opportunities to get your readers involved is the key. 3. Pick a great domain name. You need a domain name that is easy to remember, spell, and come back to. That’s another reason keywords in a domain work so well – think of traffic generation, and TrafficGenerationCafe.com comes to mind easily. Check out this great post by Daniel Scocco on what makes a domain name great. Building a community of responsive readers should be one of your primary goals of building a successful blog. Your blog community is what will bring you constant and consistent direct traffic. They are the ones that will spread the word about your blog via social media (which happens to be also very important for your search engine ranking optimization); they are your best source of natural link building; they are the ones who are most likely to provide your blog with social proof you need to draw in new readership. Tracking your direct traffic in Google Analytics is very simple: from your Dashboard go to Traffic Souces ==> Direct Traffic. However, there is one caveat you need to keep in mind when tracking your Google Analytics direct traffic: yourself. If there’s one thing that can mess up your direct traffic stats, it’s tracking the amount of time you spend on your own blog, which my guess is quite a bit, plus any outsourcers you might hire to help you out: web designers, IT professionals, etc. 1. Establish your IP address as well as IP addresses of all of your blog helpers. The simplest way to do it is to go to http://whatismyipaddress.com/. 2. Once you have your list, go to your Analytics Settings and find Filter Manager at the bottom right. 3. Once you click on Filter Manager, fill out the required fields and press Save. Once you apply the filter, your direct traffic stats might drop significantly, but at least you’ll be tracking all the right things from this point on. Since I couldn’t stop myself from writing this ode to direct traffic – yes, it’s that important, if you ask me, I’ll have to get into referral traffic and search engine traffic in a future post. Let me leave you with this last thought about your direct traffic: start with cultivating this traffic segment first. Readership loyalty and brand recognition will be the first thing to take your blog to the new heights – above any other traffic source out there. Have anything to add? Comment to show me that you’re alive! I’m just starting to blog, 8 days old to be exact, lol. I referred your post to my current blog before reading it because it’s about traffic which I mentioned there in my blog. This post is very helpful. Thank you for sharing. Glad to help and always appreciate the mention, Erwin. Thank you for the info. Recently, I receive lot direct traffic but no average time per page been tracked @ Google Analytics. Do you know the reason? Is it normal? Thank you. Not quite sure, Daniel; most likely just a glitch and the stats will come back. Thanks Ana. Btw, I received few offers want to send me thousand of traffic with only $5. Unbelievable… How to send real people to click on my site. So I didn’t take the offer. I am sure you know about this kind of offer. How people do it so easily? They even told me I can track thru Google Analytical…so weird to hear that. They are pretty much talking about bot traffic, Daniel. It’s not real traffic, but to Google and, say, ad companies it looks just the same, so your page impressions go up and advertisers are more likely to buy ads from you. Fist time reader. I really like the post and quickly ran off too stop my IP from being counted in my analytics. One thing I do want to add is that direct traffic does have an effect on SEO and rankings. My findings are that direct traffic will engage with your website/blog more therefore reducing bounce rate which does (now?) effect rank. Interesting you said that direct traffic reduces bounce rate – in my experience, it actually increases it because much of it are the regulars who stop by to check out the new content and leave once they read the latest post. They are not as interested in looking through other pages or older posts because they most likely read them in the past. Of course, direct traffic that comes to a blog because they heard of it somewhere does seem to be more likely to stay and read. Thanks so much for this tip Ana. Google can be sometimes misleading so this really helps. Do you also use the WordPress stats plugin and is it reliable? I generally don’t pay THAT much attention to my stats; just enough to know where my blogs stands on a monthly basis. Traffic tracking can be very time-consuming and I believe my time is better spend doing other things. Excluding the own ip address from google analytics is a great way to measure real traffic to own blog. Currently, I’m using Dialup internet service. For this reason, I can’t exclude the own ip address from google analytics Thanks Ana for your tips. I remember using dialup in the past… What a pain! I’m glad I found this post. I was actually concerned that quite a high proportion of my traffic is direct! What I’m really trying to find out is if Direct Traffic has a positive effect on Search Engine placement? I don’t think so, Richard. Very true, Wayne; one type of such traffic that I mentioned in the post might be traffic from security-restricted environments, where no referrers are passed, and of course, there might be more instances of that. I do believe though that such traffic is negligible in the greater scheme of things. Now I am more enlightened on Direct traffic. Thank you. But I don’t venture to exclude my IP address from analytics for the present since I am not in a position to repair if anything bad happens. Thank you for the reply. Still I may wait to do it. Many thanks Ana – another great post!! Yes, that’s a good idea. I sure hope they do that soon. I just removed my IP address from my google analytics. P.S: I have a question which ought not to be on this blog post but I have to put it here because it’s really eating me up. Do you suggest using /%postname%/ as my permalink structure or /%category%/%postname%/ or /%year%/%month%/%postname%/? I’m confused because I’ve read on some blogs that using only /%postname%/ affects a blog because pages won’t be distinguished from posts. Is that true or just mere say/facade? You’re welcome, Chukwuka. I suggest you use /%postname%/ as your permalink. That’s an opinion, but not a big issue, as all pages on a blog are really posts. Thanks for the post, Ana; I didn’t know that you could exclude an ip address from Google Analytics. I’ll go do that right now. I thought website traffic came from birds and bees. I totally agree with your tips, about analytics. It is very important to understand what they mean, otherwise they’re just charts and pictures. Did you know Google Analytics just released an article today on how to track your Social Plugins with Google Analytics? No, I didn’t know that, Duncan – thanks for the link! I always wondered exactly what Direct Traffic was, and if it included my own computer, and now I know.. and I was able to filter it out. Thanks! My biggest takeaway from this post – not all traffic is created equal, and you’re better off with less quality traffic that engages and contributes than simply more and more traffic that comes and goes. Thanks, Ana! Love the post. Glad you found it helpful, Ian and that some questions were answered. I had always wondered what Google Analytics meant by “Direct traffic.” Thanks to you, I now have a much better understanding on the subject. Currently, direct traffic is my second largest source behind search engines. Which, I see now is a good thing. Thanks for this post Ana, it was easy to understand and came at just the right time for me to put to use. Glad this cleared it up for you, Ian. That is a good thing indeed! Direct traffic was also somewhat a mystery to me and what you are saying here makes sense. So much so that it prompted me to see my analytics right now, because it has been a while since my traffic sources had shifted from the top being search, followed by referring, direct and others, to direct (48%), search (36%), referring and others. I will take this this as a good signal :), although I might have to work a bit more to increase my organic traffic. Also, thanks for the tip about filtering my own IP from direct sources. Never bothered using it before. Interesting shift and as you know, organic is best. Ana, Thanks, another useful, insightful post. Would traffic from RSS readers also be part of direct traffic? Great post on what direct traffic really means. The hint to remove your own IP address from the results for more accuracy was worth it all by itself. For me the setting up the filter is something new, I need to get done. Also have been thinking about a new domain name. These are great tips. Building a community is key. I am always looking for more ways to increase traffic. Thanks, Betty. I agree with you and I hope you find some helpful tips here. Get traffic is very big task for any blogger but if any blogger have quality in his post then no body can stop him to achieve the success and get more traffic on his site , so my point of view the perfect blogger can do these all things very well. Yes, you are right, Sam. Thank you for visiting. Ana, note blogging on a different level – while I work loosely in SEO and online advertising, I haven’t focused on this in my personal blog … yes stupid of me I know! But alas, the plumbers pipes and all! Very clever and informative – even your layout, style and cheekiness jump out of your page. Thank you for the insights. As usual, full of insights and well presented. I went with the “Get Massive Traffic to succeed” line of thinking at one stage, previously. Yet, I feel it is far better to aim at building a strong community, within a target niche. Great post Ana! I’d never actually really paid attention to “Direct Traffic”, but now I understand how important it is. By the way, I love all the links you put in to your other posts! You’re most welcome, Erin. Thanks for stopping by. I’m definitely contributing to your direct traffic. Even my browser knows that too cos I only need to type the letter t in the address bar for your site to come up first in the list. That’s good to know, Flo. 🙂 – you know you’re always welcome. You must have been reading my mind. I was wondering what exactly is direct traffic and how come I have so much. I added my IP to the analytics filter so it won’t record my own visits. This is worth knowing and sharing, thanks. You are so very welcome, Justin – I think you were the one to originally prompt me to do some research on the topic; thanks for the idea! I always wondered what else contributes to direct traffic as I figured there weren’t really that many people on a daily basis hitting my site from a bookmark. Thanks for shedding light on the mystery! You are very welcome, Kristi – turns out quite a few sources can bring you direct traffic, but most of it will still come from bookmarking and directly typing the URL. My bet is you are doing very well with your direct traffic! Thanks for taking on this subject and elaborating on direct traffic. Sadly I believe most of my direct traffic is me! But I’ve been thinking about this a lot lately. Do you have any thoughts on what a healthy or desirable mix of traffic sources might be (search, links, direct, etc.)? Personally about 80% of my traffic comes from google which seems high. But I think that’s OK? Any thoughts on this? Funny you ask, Alexis – the follow-up post to this one will address this very question. A good rule of thumb is about 40% of your traffic should come from search engines. That way, if Google were to change its algorithm – yet again, you are protected from it affecting your traffic too much. So I highly recommend you start working on other traffic sources. I was not aware that bookmark traffic or traffic being sent from e-books or other docs is considered direct traffic. Thanks for clearing that for me. It’s not crucial for us, bloggers, to know, but it does help. Great post Ana. That filter did the trick for me. Hopefully my traffic numbers won’t be down. Most Google Analytics plugins will remove the code when you’re logged, but this ensures you won’t be tracked. Thanks for the tip. I stay away from any plugins that I find unnecessary, and GA plugins are in that category, since most of these things can be easily accomplished another way. Excluding your IP address is one of those things. Hi Ana – I agree on the plugin. I removed the GA plugins from my site and added the code manually, so the filter trick you provided today is fantastic and greatly helpful. Direct traffic is a source which I’ve yet to master; I’d like to think of it as a brand which takes up focused time to build and grows progressively. Thanks, Daniel. Yes, it takes time, but when it happens, it is well worth the wait. Thx for describing where traffic comes from as well what as including how to make your brand stick. You are very welcome, Tom.